Antihero’s Steam page is now live! The game hasn’t launched yet, but this is a big step towards building our Steam community, which is vital for a multiplayer game. Most of our recent development time has been spent on content, rather than systems — Antihero’s core mechanics may change in minor ways before launch, but they’re essentially (and finally!) complete. 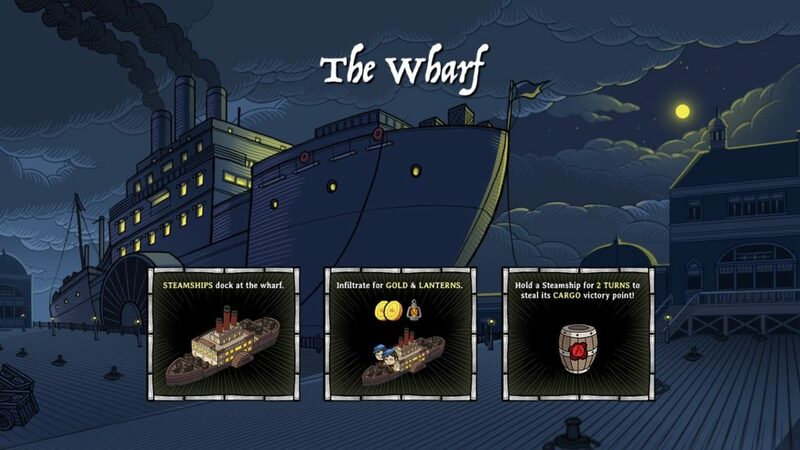 The team’s primary focus is creating new scenarios that tweak the game’s rules in small but meaningful ways – we’ve recently wrapped up work on The Wharf, which sees you infiltrating steamships that arrive at the docks loaded with valuable goods. The Wharf adds some new twists to the core Antihero formula, and it’s been a lot of fun to playtest. Importantly, it’s also pointed us towards other ways that the game can be expanded: we’re currently putting the finishing touches on another scenario that takes place in a much different part of the city, and that I’m extremely excited about – visually, narratively, and mechanically, it’s going to be great. Stay tuned!